TABUK CITY, Kalinga – Some local officials and residents of this province decried the alleged waste of public funds in the implementation of approximately P1.2 billion worth of flood control projects in five river systems after the said projects were ravaged by the onslaught of Tropical Cyclones Ompong and Rosita that struck Northern Luzon over the past one month. Provincial Administrator Henry Gupaal narrated that after the onslaught of Supertyphoon Lawin in Northern Luzon over two years ago, Kalinga suffered over 2 billion worth of damages to agriculture and infrastructure. The National Disaster Risk Reduction and Management Council (NDRRMC) approved the location of calamity funds for the various sectors in the province wherein P1.2 billion was supposed to have been earmarked for the rehabilitation of damaged infrastructure while P9 million was allocated for the restoration of the damages to the agriculture sector provincewide. Ironically, Gupaal claimed that instead of distributing the calamity funds for the rehabilitation of the calamity-stricken projects, the Department of Public Works and Highways (DPWH) allegedly appropriated the funds for the implementation of flood control projects along the Chico, Pasil, Saltan, Cal-owan and Tanudan rivers among others. 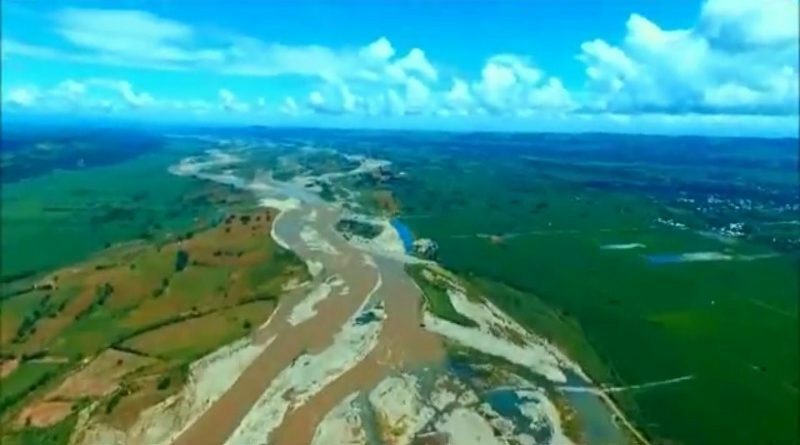 However, the provincial official disclosed that during the wrath of Tropical Cyclone Ompong, most of the flood control project suffered heavy damages that warranted their supposed restoration through the similar allocation of funds. While the projects were awaiting the location of more funds for possible restoration, he explained that the projects were further damaged by the recent wrath of Tropical Cyclone Rosita that rendered the same beyond use. According to him, the 38 flood control projects along the said river systems were allegedly awarded by the DPWH to a lone contractor, who was the lone bidder, and allegedly linked to a ranking national official from the province which is allegedly in violation of prevailing ethical standards for government officials and employees enshrined under existing laws, rules and regulations. He described the way the projects were implemented borrowing the words of Senator Panfilo Lacson that ‘engineering stupidity’ prevailed in the prosecution of the flood control projects that were supposed to spare private and public properties from being inflicted with severe damages by natural and man-made calamities. Gupaal urged the Office of the President, NDRRMC and DPWH to conduct their own investigation on the aforesaid allegations to validate the veracity of the report and to facilitate the filing of appropriate charges against all the responsible officials involved in the questionable implementation of the projects pursuant to the pronouncement of President Rodrigo R. Duterte that corruption has no place in his administration, thus, the public is being encouraged to report to the President any activity involving corruption by government officials and employees for their possible indictment and eventual dismissal in public office.